It’s time for the SUO159 “Holiday Paper” Challenge and I decided to create a card using the new Candy Lane Designer Series Paper (DSP) from the 2016 Holiday Mini Catalog. 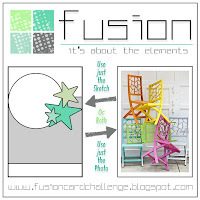 I decided to incorporate the FUSION “Chairs To You” Challenge (I used the sketch) along with the Splitcoaststampers’ Alphabet Challenge DDABC11G Challenge (“G”- Gingerbread, Gems (Pearls)) and the CCC16 Christmas Card Challenge. I hope you will have a chance to check out the rest of my fellow Design Team member samples at the SU-Only Challenge site as well as the fantastic samples and entries at the Splitcoaststampers galleries- wonderful inspiration from all! Ink the sentiment from Embellished Ornaments with Real Red Classic Ink and stamp onto Whisper White cardstock. Die cut the sentiment using the Big Shot™ with the Circle Framelits™, cut two additional circles using the same die from Early Espresso cardstock. Overlap the two Early Espresso circles and adhere the sentiment to the “frame”. Create the horizontal layer from the Candy Lane DSP, mount onto a piece of Early Espresso cardstock. Fussy-cut the “lace” from the pattern of Candy Lane DSP and mount behind the layer created in the above step. Layer a piece of the striped pattern of the Candy Lane DSP onto the Early Espresso card base and add the horizontal layered strip. Mount the sentiment using Stampin’ Dimensionals® and add a few pearls to the outside edge. Fussy-cut the gingerbread, tree, mittens and star images from the patterned Candy Lane DSP, mount onto Early Espresso cardstock and fussy-cut close to the edge. Add the images to card front with Stampin’ Dimensionals® and finish off the card by adhering pearls to the centers of the mittens and star as well as the gingerbread image. Thanks again for stopping by and we hope to see your Stampin’ Up! Only project in our “Holiday Papers” Challengegallery! This is so cute, I can't even handle it!! The mix of fun patterns coupled with those cute gingerbread men turn this into a Christmas wonderland. 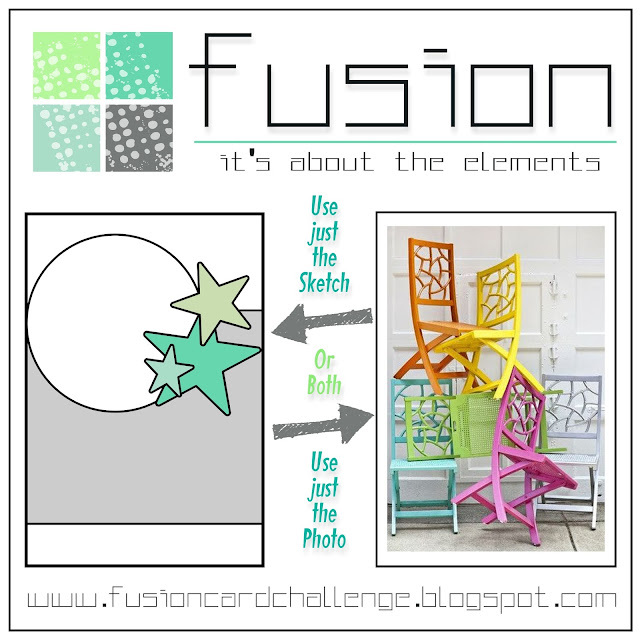 Thanks for playing along at Fusion!